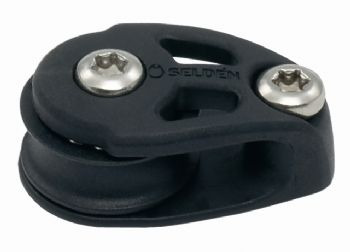 Seldén launched the new Deck Hardware range in September 2008. The BBB20 cheek block features Acetal ball bearings to be ultra lightweight, glass fibre reinforced sheaves and 50% glass fibre filled composite cheeks for strength. Perfect for mast, boom and sail applications.